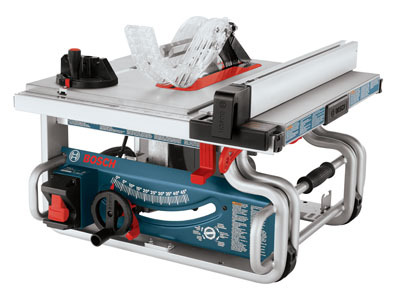 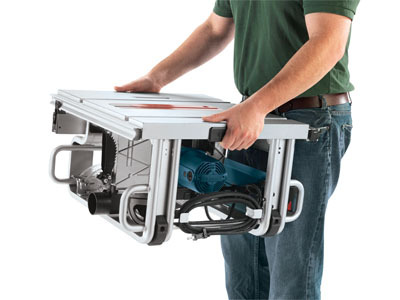 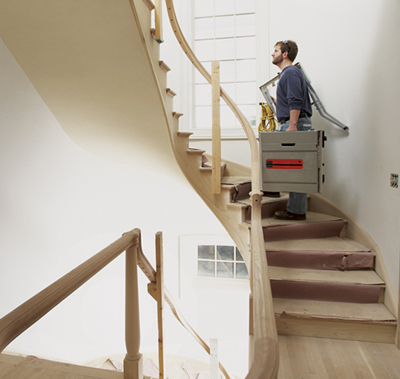 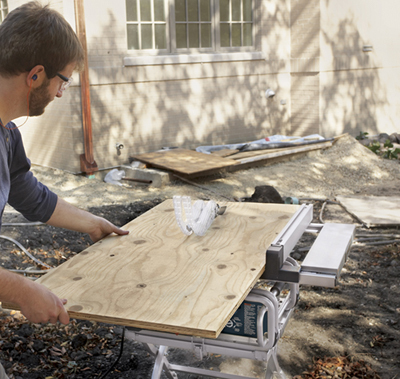 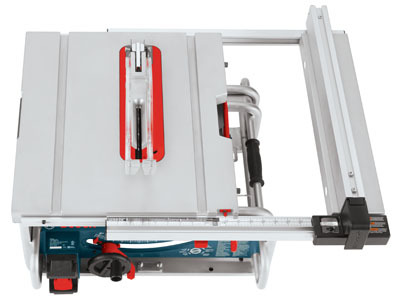 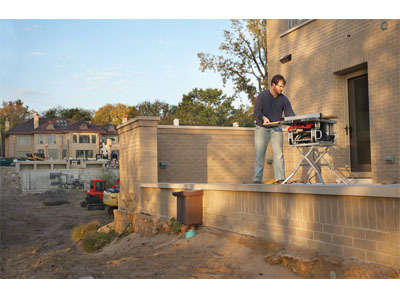 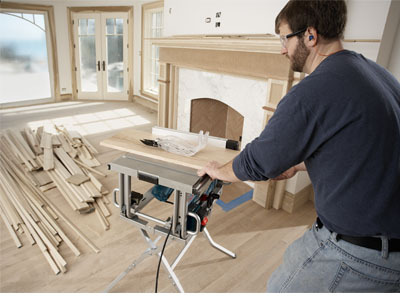 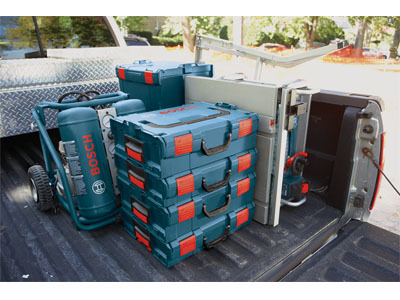 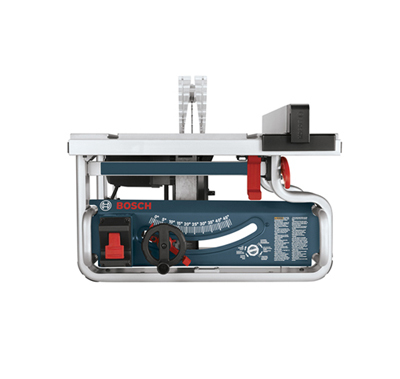 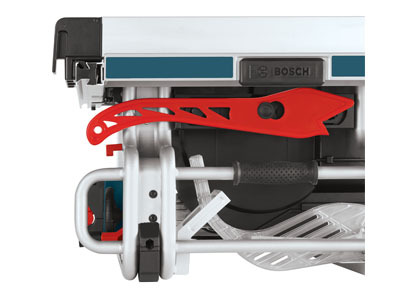 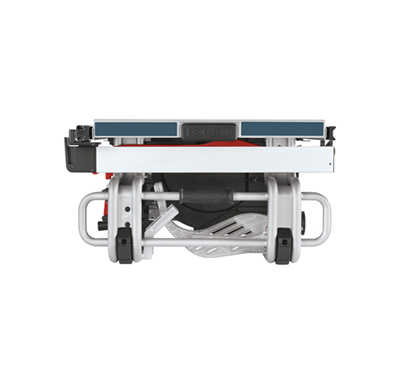 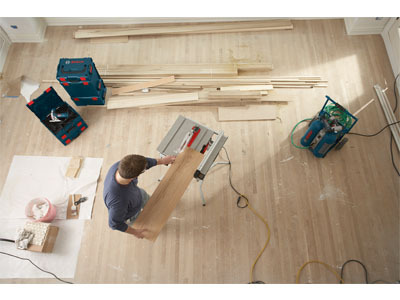 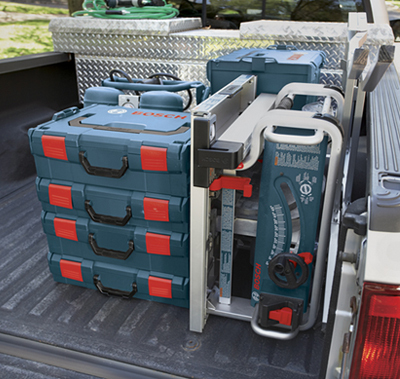 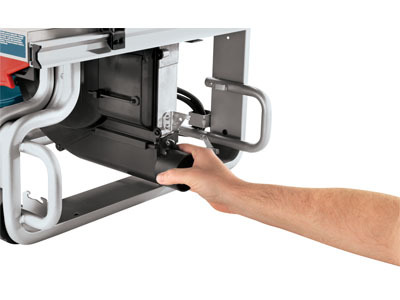 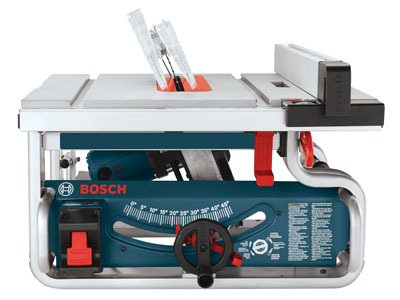 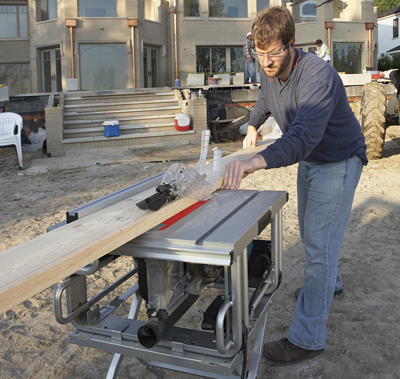 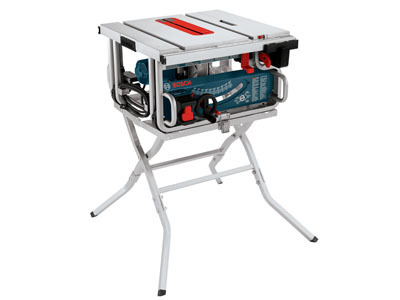 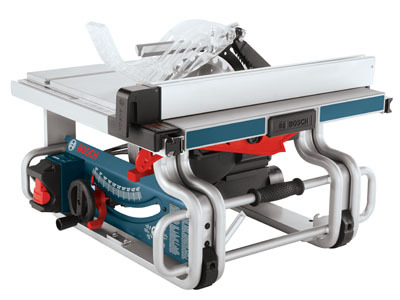 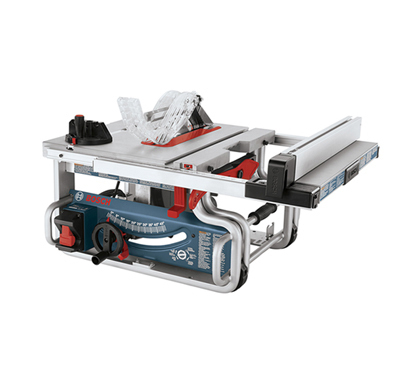 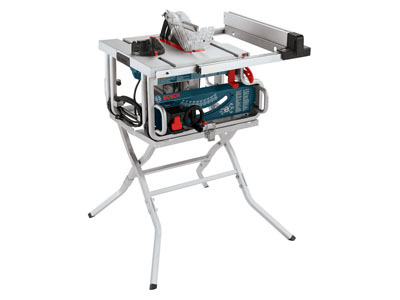 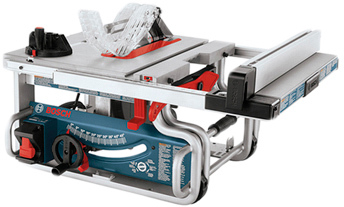 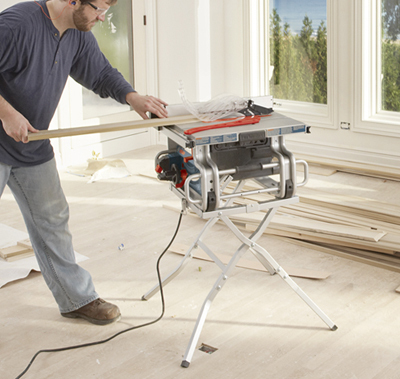 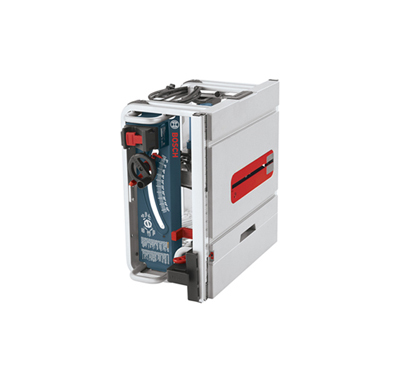 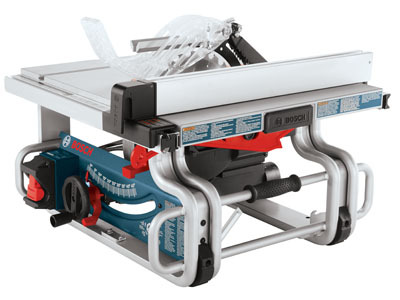 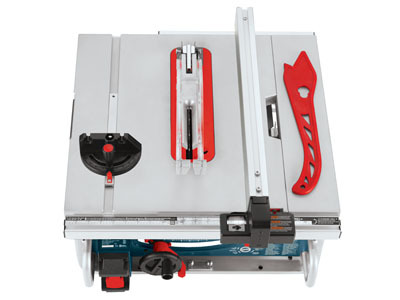 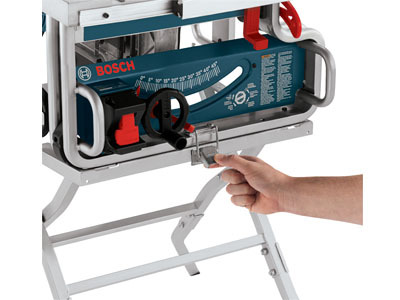 The new Bosch portable jobsite table saw is the ultimate in portability. 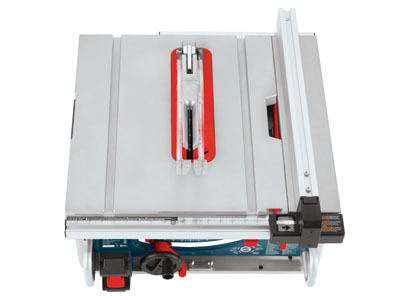 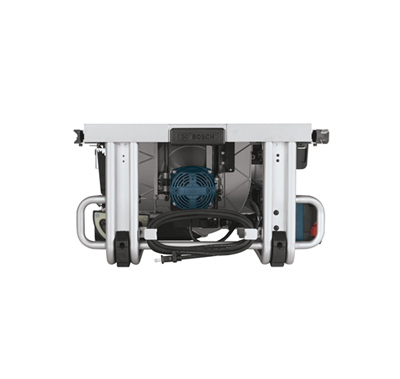 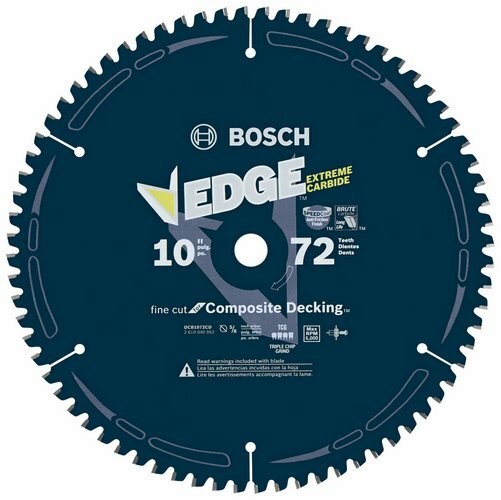 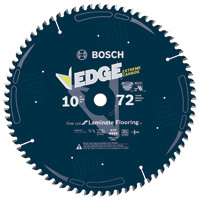 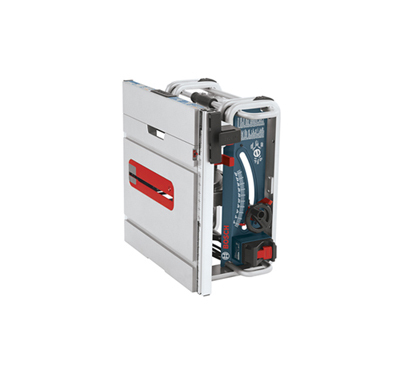 With a powerful 4 HP long lasting motor with 5,000 RPM that provides smooth effortless cuts. 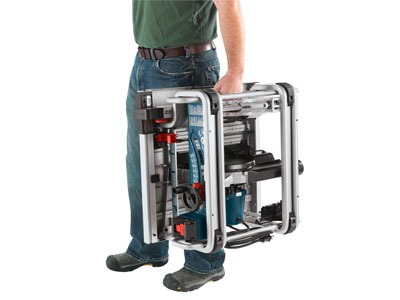 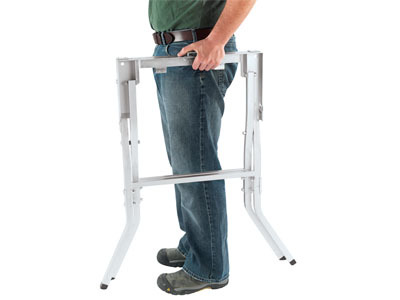 Durable and unique all-steel base design that is lightweight base incorporates carry handle and stacks on side for transport and storage; all-steel design to handle jobsite abuse. 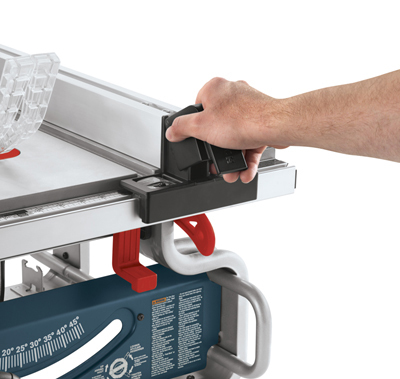 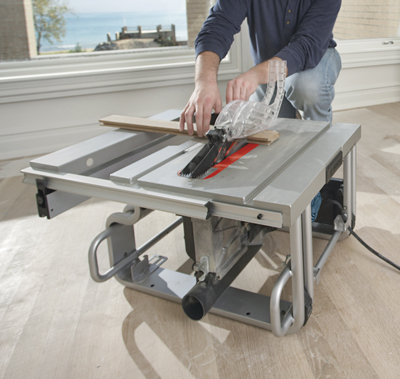 The on-tool storage allows you to store your rip fence, smart guard, miter gauge and wrenches safely under the table top. 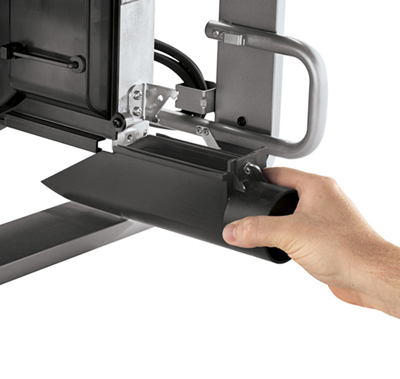 Other optional attachments are are also available including a dado insert plate and folding stand. 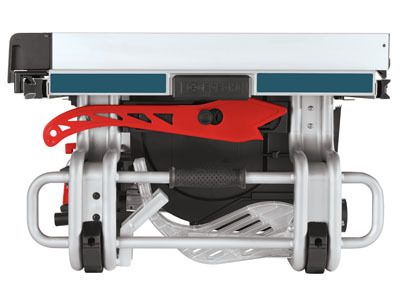 Dimensions 22.5" x 22.5" x 13"